A Google image montage for "marketing habits" . You'll find an overwhelming collection of materials when you look at the search results. A Google image montage for “marketing habits” . You’ll find an overwhelming collection of materials when you look at the search results. 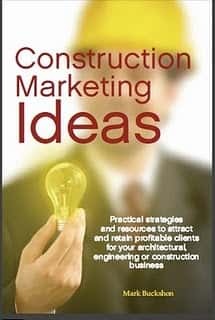 There are industries more challenging and contradictory when it comes to marketing than construction. In part, this relates to the industry’s tradition and character. 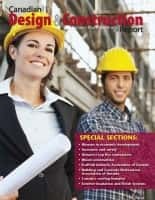 While there are some places where maintenance and ongoing work sustain businesses, most AEC businesses (and related architectural and engineering practices) work on a project basis. If you are in this business you win jobs, complete the work and move on. Coupled with the long-lead time and price-sensitive competition, we have an industry that really doesn’t think much about marketing, in general, and when it does, it often gets it wrong. So you have businesses playing it by the seat-of-the pants, relying on existing relationships and client referrals, or chasing (often like lemmings) open-public-bid jobs, where the competition is absurdly intense. Surely there are better ways to do things. I’ve argued consistently that a systematized program to encourage and nurture word of mouth and repeat business will produce results far above their costs — and won’t require you to bend your business systems or values like a pretzel to succeed. I’ve also advocated for engaging and supporting relevant client-focused associations and community groups; not for the “quick hit” but for building ongoing relationships, connections, referrals and reputation. Finally, I believe most industry practitioners would benefit from a solid marketing consultation/checkup, combining the repeat and referral and association concepts above with one to three other marketing frameworks to develop and maintain new business (and encourage repeat clients); where you have a natural effectiveness and which suit your values. This might be public relations/writing, speaking at industry conferences, effective leads service usage, or (dare I say, for some residential services), canvassing and mass media marketing. If you are a reasonably sized contractor, spending say $1,000 on this sort of marketing check-up and simple plan would probably yield some immediately actionable results and, especially in capturing some of the low-hanging repeat/referral fruit — near-immediate revenue. You could then elect to allocate additional resources in a planned, thoughtful and measurable way. It’s a simple, maybe even brilliant, way to get your marketing on track. Next articleKnowledge, value and money in the competitive marketplace: How much should you pay (or be paid)?